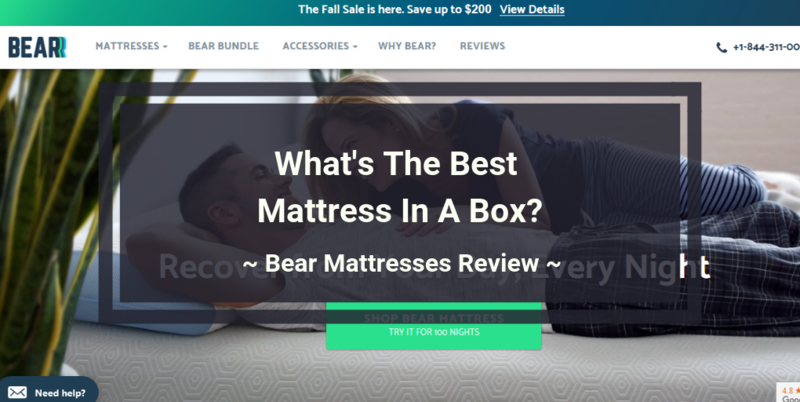 Bear Mattress Review: Worthy Buy or Waste of Money? We spend a lot of our time asleep. So it's important that you're very comfortable. Obviously you know this and that’s why you’re going through a couple of Bear Mattress reviews. Well, if you want to know the truth about Bear mattresses, you may want to read this shocking review. So let's get into it, shall we? Bear Mattress found online at Bearmattress.com is a mattress in a box company that sells sleep products including mattresses, pillows, sheets and protectors and bed frames. According to Crunchbase, Bear Mattress, LLC was founded in 2014 by entrepreneurs Michael Paladini and Scott Paladini. The company is currently headquartered at 720 Monroe St Ste C508, Hoboken, NJ 07030 6339. Bear claims to be the ideal mattress for athletes and active people. Well that counts me out, lol. But anyway, let’s take a closer look at what makes Bear Mattress unique. At the time of this review, they stock two types of mattresses; the Bear Mattress and the Bear Hybrid. Five layers make up this mattress, including a Celliant cover on top, followed by a Graphite-Gel Memory Foam and a Responsive Comfort Foam beneath it. They then add a transitional performance foam and complete the layering with a High-Density Support Foam down below. They say the graphite-gel memory foam removes unwanted body heat, while the comfort foam provides bounce. The transitional performance foam relieves pressure and the support foam layer at the bottom solves durability problems. The Hybrid is also made up of five layers including a Celliant Fibre top, followed by a Premium Comfort Foam and a Cooling Gel Memory Foam at the middle. They then place individually encased coils above a high density support foam to complete the Bear Hybrid layering. In this case, the Premium Comfort foam adapts to all body types and sleep positions, while the Cooling Gel Memory Foam offers airflow and pressure relief. The Individually Encased Coils help to support and align your spine for back pain relief. And again, the support foam at the bottom makes it last longer. The Celliant cover is, according to them, clinically proven to promote restful sleep in addition to re-energizing the body. Don't ask me how, I also don't know folks. How Durable is the Bear Mattress? It’s hard to say how long this mattress would last when the company has only been around for four years at this time. But based on what customers are saying, both mattresses will maintain shape for at least four years. Again, foam mattresses generally last at least five years before the edges and support layers give in. Perhaps the idea that these mattresses are made for all types of sleepers including athletes would mean more mileage, but durability highly banks on how often you use the mattress doing what and for how long. So you can never really home in on a mattress’ durability. Is the Bear Mattress good for back pain relief? According to the manufacturer, both the Bear Mattress and the Hybrid are good for back pain relief. But if you ask me, the Hybrid sounds more convincing with the individually encased coils providing better cushion and comfort to the spinal region. In any case, once you read the complaints section you’ll know exactly what buyers have to say about this. Where can I Buy a Bear Mattress? You can buy the mattress either on their website or on Amazon. Either way you get your Bear mattress in a box, but the price may differ from store to store. However if you buy Bear Mattresses on Amazon.com, you can get a great deal especially if you are a Prime member. 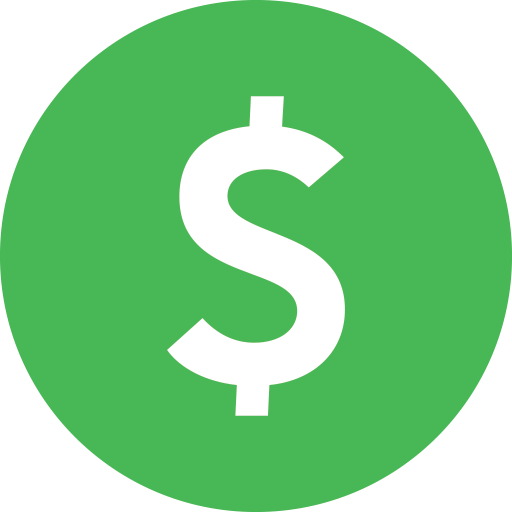 In addition, if you want a more affordable price on this product, you might want to try websites like Ebates.com and SwagBucks.com for discount codes, rebates, and promo codes. Stacking all these deals together will save you a great deal of cash on Bear Mattresses as well as many other purchases. Both mattresses come in industry-standard sizes. If you go for the Bear, the Queen will set you back $790, while the King and Cal King go for $890. The Full goes for $690, the Twin sells at $490 and the Twin XL sells at $590 on the manufacturer’s website at the time of this review. If you choose the Bear Hybrid, the both the King and Cal King start at $1490, while the Queen goes for $1225. The Full goes for $1125, the Twin sells for $925 and the Twin XL sells at $1025. Ultimately if you want the latest and best prices on any of the Bear Mattresses you should try Ebates.com and Amazon.com. Bear mattress provides a 10 year warranty, including a 100-night risk-free trial, and they are all made here in the United States. Shipping across the country is free and they say it will take 7-10 business days to arrive. You can read all about that here. If you are in Canada, you can use their Canada website. But it may be faster and cheaper to order on Amazon.com, and use the FREE guaranteed 1-2 days Amazon Prime Delivery. In terms of their return policy, you get a 100 nights trial to decide whether you like your buy or not. But you’ll have to give it a 30-day spin before you ask for a refund. If you still don’t like it, you can call 844-311-0035 to initiate a return at your own expense. Well, this is the part of the review you want to read if you hate losing money. Here’s the one thing that you probably won't like about the Bear Mattress. If you hate waking up to a sore back, you may want to think twice before getting the Bear mattress. Everything seems all cozy and stuff for the first year, but for some it’s a nightmare from then on. Your results may vary. There are of course mattress in a box alternatives you can buy if you don’t like anything you’ve just read. The Casper, Leesa and Tuft & Needle are options if you’re going for foam mattresses. You can actually find great deals on either of these mattresses in a box alternatives on Amazon.com. Should you buy Bear Mattress or not? Bear mattress seems to be a good buy at this time. Customers seem to think the technology behind these mattresses really work. They are built with an athlete in mind, so that’s kind of reassuring. They have a positive rating with the Better Business Bureau, and apart from a few back ache complaints here and there, the general word on the streets is that you’ll get your money’s worth in the end. So if you like what you've read you may want to buy the bear mattress on Amazon.com and you also get FREE guaranteed Amazon Prime Delivery. You can also use sites like EBates.com for cashback and coupons. And SwagBucks.com can provide you coupons and help you earn FREE cash & gift cards doing what you already do online like watching videos and reading emails. You can then use these gift cards and coupons to get discounts on Bear mattresses on Amazon.com and other online stores. I hope you're now in a better position to decide whether the Bear Mattresses are a good purchase for you. We would love to hear what you think also. Feel free to chime in your thoughts on the comments section below. If you still have questions about Bear mattresses, you can look for answers on their FAQs page. If you're shopping for a Bear mattress and you want to know the good, the bad and the ugly about it, then you may want to read our shocking Bear Mattress review.